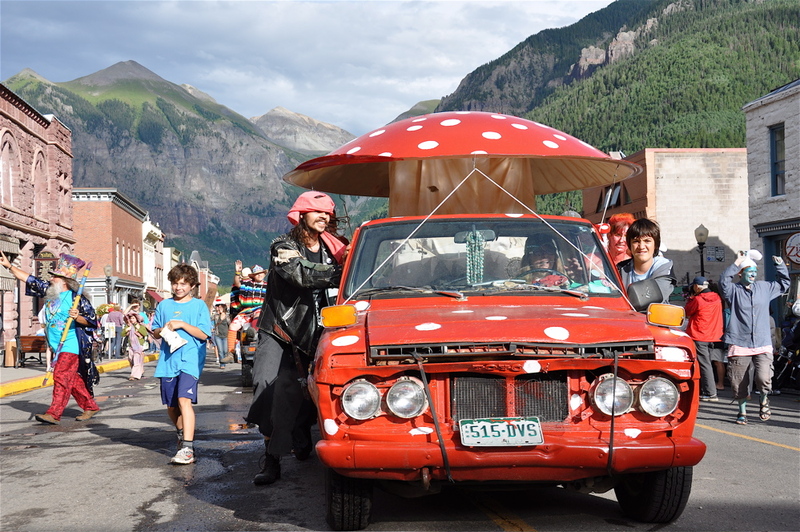 The mushroom people came out in full force this weekend in Telluride, Colorado, to celebrate fungal magic in its many-splendored glory. 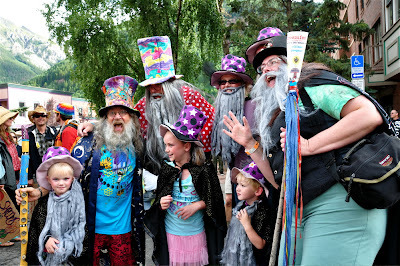 This was my first trip to ShroomFest, now in its thirty-first year and one of the biggest mushroom gatherings in the country. As I've said before, the mushroom people, with their appreciation of the outdoors and nature, fondness for good food and wine, and generally impish sense of humor, are my kind of people. 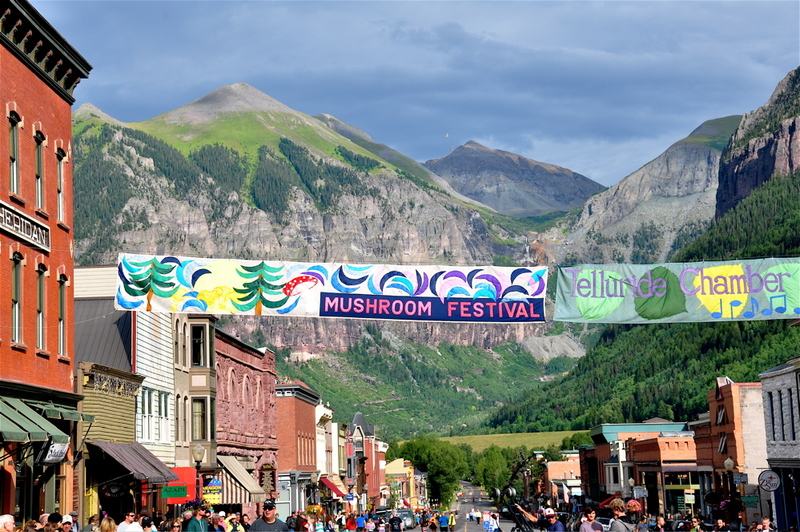 But while many mushroom-related fairs and exhibits try to downplay the more eccentric sideshows in mushroom culture, in Telluride the weirdness was on full display. Noted mycologists gave talks with titles such as "Magic Mushrooms, The Merry Pranksters and Medicinal Mushrooms for the Soul"; "Mushrooms, Monks & Mystical Experiences"; and "Hallucinogenic Mushrooms of North America." During his closing remarks for Saturday night's keynote lecture, Paul Stamets reminded the audience of the importance of freedom of thought, noting that mushroom-induced mind expansion has the potential to promote imagination and creativity. In many ways this openness about the psychoactive properties of mushrooms is refreshing. Psilocybin mushrooms in particular have been used by human beings for centuries for ritualistic, shamanistic, and religious purposes, and just because our current government has decided to make these natural substances Class 1 controlled drugs doesn't change our perpetual desire to seek altered perspectives, larger truths, and good old fashioned intoxication. Maybe this is why certain academics aren't afraid to don silly hats and wave their freak flags high. It would be impossible to act more clownish than hypocritical public officials who endeavor to contain humanity's ongoing search for higher consciousness. Mycological luminaries in town for the fun included the aforementioned Stamets, whose work in applied mycology is helping to solve world problems from oil spills to hunger; Gary Lincoff, an original founder of the festival and author of the Audubon Field Guide to Mushrooms of North America; Michael Beug, retired professor at Evergreen State College in Olympia, Washington, and den leader of sorts for his mentoring of leading mycologists and myconauts through the years; and Larry Evans of Know Your Mushrooms fame. Telluride is an appropriate venue. Known for its dramatic scenery and a summer schedule choked with festivals, so much so that the locals look to the Nothing Festival for a breather, this old mining village turned ski resort has a history of attracting seekers, nonconformists, and iconoclasts. Did I mention the scenery? 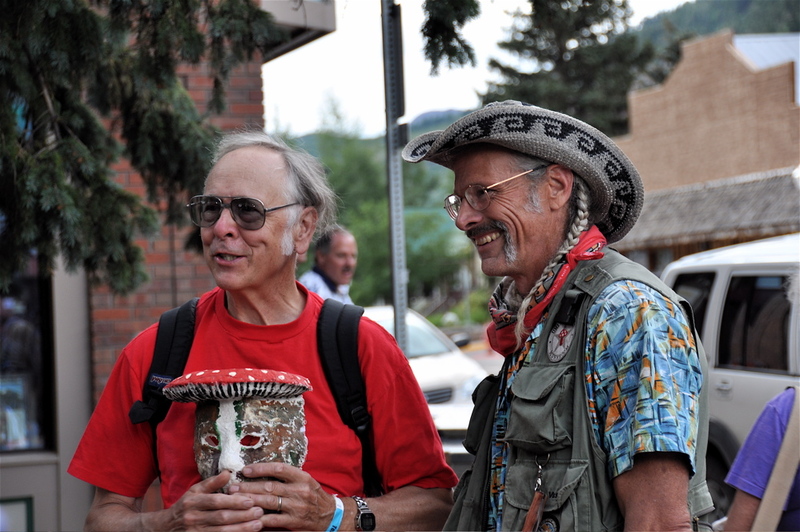 While the talks and slideshows at ShroomFest 31 had me circling my schedule with ballpoint ink until it ripped from the abuse, the pull of the San Juans was strong. On Saturday the mountains lured me away from the lecture hall for a foray up to Dunton Meadows. Truth be told, my expectations weren't high. 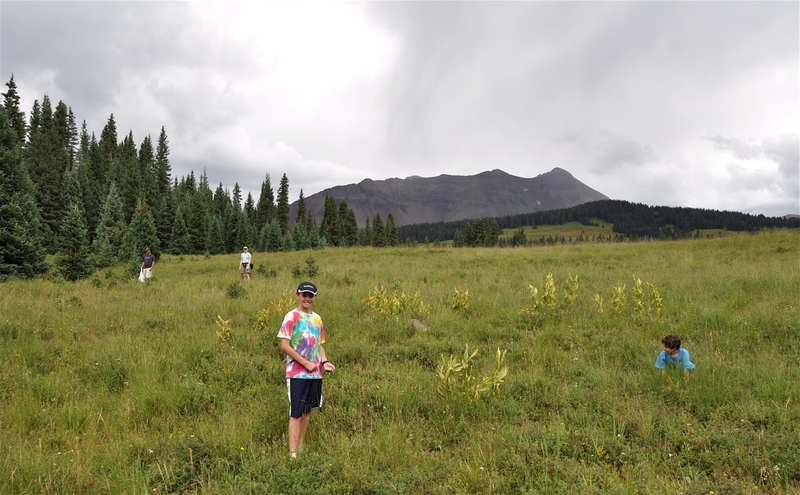 Monsoons came early to southern Colorado this summer—and then left. August has been dry. The mushrooms responded with an initial flush a few weeks ago that petered out with the lack of more recent rain. On Saturday's foray I followed a long convoy led by Larry Evans to the far side of Lizard Head Pass, which boasts heart-stopping views of some of the most beautiful vistas in the Rockies. 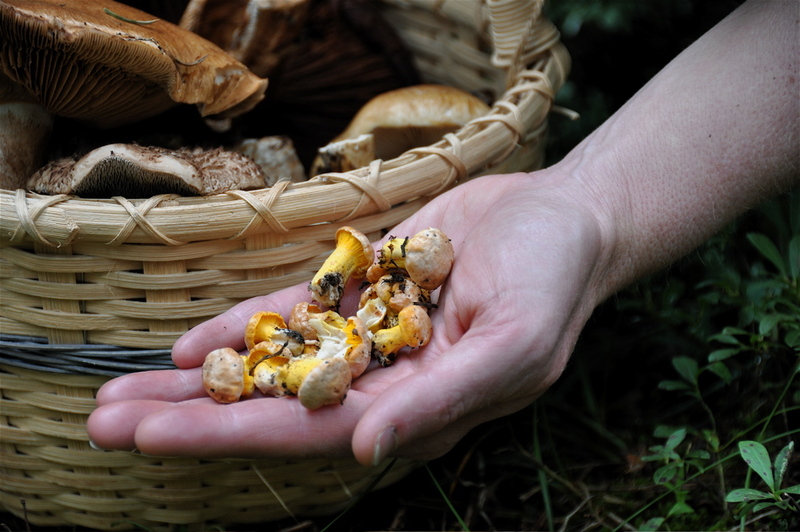 Here, where high meadows mingled with seams of spruce and fir, we worked hard to find a few lingering king boletes not yet infested with worms and the season's first chanterelles, still small yet firm and aromatic. Joined by my old friends Cowboy and Betty, we wandered the meadows and forests. 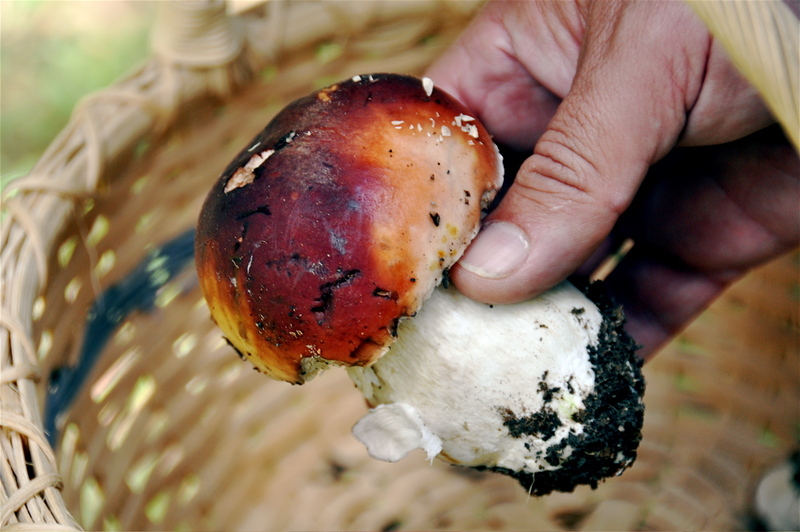 Our boys, sharp-eyed and close to the ground, uncovered hidden stashes of mushrooms despite the challenging conditions. The joyful tune of "I've got one!" rang out through the woods as they raced from tree to tree. When the thunder and lightning started, as it inevitably does on summer afternoons in the Rockies, we packed it in and drove back down the mountain, coming across one poor soul, shirtless and wild-eyed, who had spent most of the day lost in the territory. "Call Search and Rescue and tell them I'm found," he said sheepishly. 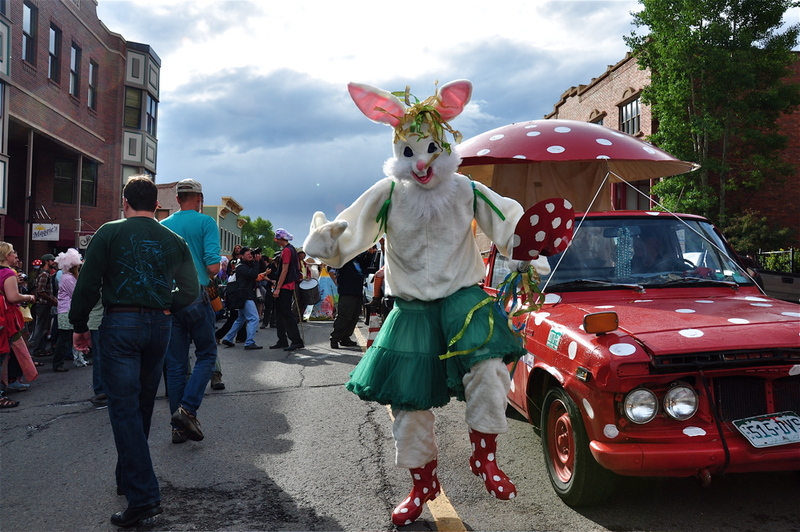 Back in town the annual parade kicked off, rallying the mushroom people for a counter culturally-tinged procession down main street. Young and old strutted their fungal stuff, some holding signs in case you didn't know where they stood on the issues. At one point the pace car, painted a jaunty Amanita red and white, broke down. No worries. The mushroom people happily pushed it through the streets. It was hard, at least for me, to not see this limping, shroomified jalopy as a metaphor. The mushroom people are intrigued by a little-known kingdom that's barely on the radar of the average citizen. Just the same, this kingdom may be more crucial to human existence than we realize, and a dedicated band of adherents will continue to plumb its mysteries. I recently watched a video with Lincoff, and I think, Evans about mushrooms and an older Telluride festival on youtube, it was informational, comic and sweet at the same time. I love magical mushrooms, but the time is not right for me to partake right now. I am just beginning my education on all mushrooms, besides the edibles. 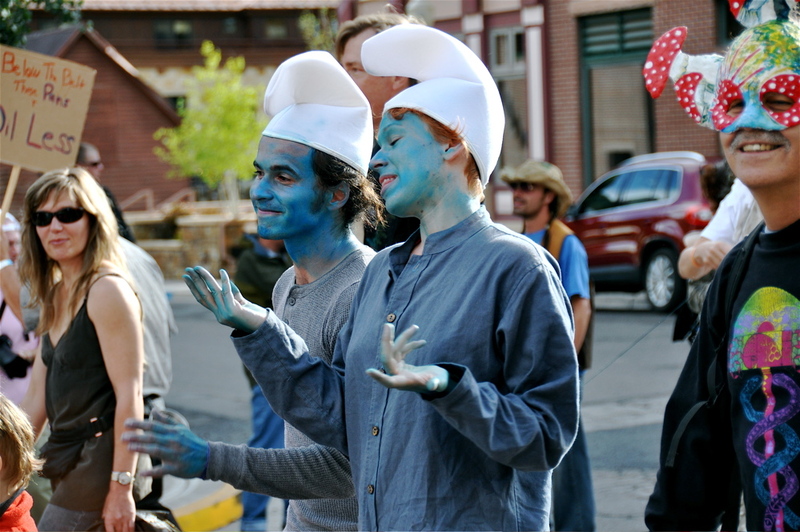 Telluride is a future destination, along with the assorted NEMA forays in New England. Lovely post! Awesome blog, Lang. Can you suggest a good resource for id'ing the "right" kind of amanita in the wild? He also participates in MushroomObserver.org occasionally, and is good about responding to requests for information, when he has the time. The 3 Foragers - Thanks for stopping by and sharing your mushroom thoughts. 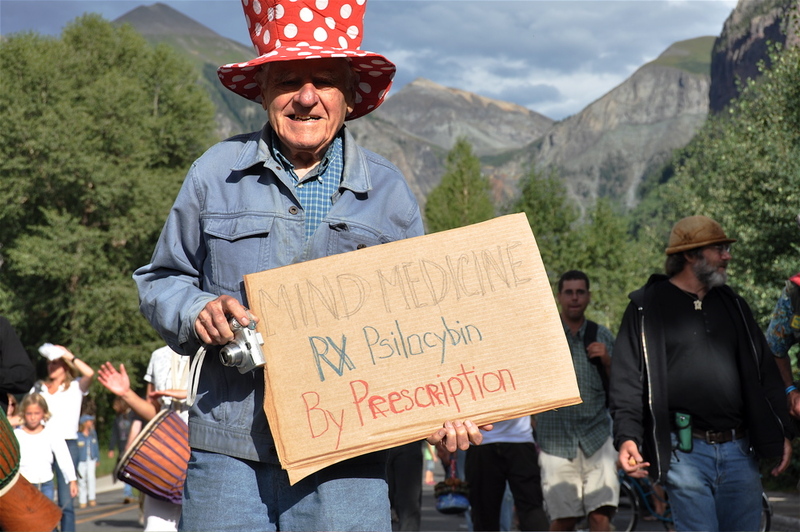 Definitely get to Telluride if you can. Beautiful scenery, fun people, and good hunting. Tim - Get yourself copies of Arora's books: "Mushrooms Demystified" and "All That the Rain Promises." And what do you mean by the "right" kind? Be very careful with Amanitas. Art - It was a pleasure to meet you at Tride. Maybe next year we can get Billy Joe over for the fest. Feral Boy - Good resource. Charlotte - Thanks for chiming in. 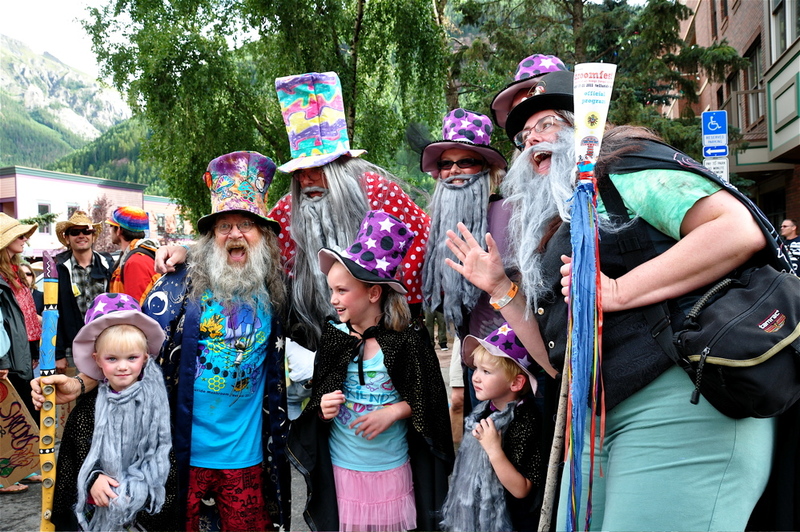 Tride's shroom fest is 31 years strong and continues to churn out new mushroom people year after year. Good action!